The 2015 PFI Annual Conference is quickly approaching and registration is now open! The Pellet Fuels Institute 2015 Annual Conference will be held Sunday, July 19 – Tuesday, July 21, 2015 at the Williamsburg Lodge in Williamsburg, Virginia. It's not too early to start making plans to join us in heart of the Revolutionary City of Williamsburg! We are also excited to announce new sponsorship and exhibitor packages for the PFI Annual Conference. Sponsorship and exhibition at PFI’s Annual Conference offer fantastic marketing and networking opportunities for all involved in the pellet fuels industry. Each year, colleagues from across North America and beyond attend this can't miss conference featuring two days of educational sessions, industry exhibits and social events. For information on sponsorships and exhibition, please contact Lucia Regan at [email protected] or 206-922-2468. The 2015 PFI Annual Conference will be held at the Williamsburg Lodge in the historic Revolutionary City of Williamsburg. Discounted room rates are available for attendees so be sure to book your room soon! During registration, you’ll also have the option to purchase Williamsburg Attractions Passes for you and your guest for only $20/each (more than $30 in savings!). This pass will give you access to Colonial Williamsburg Historic Area sites, art museums, and most day-time programming. Read more about the pass on the registration page. In addition to its luxury accommodations and premier meeting space, Williamsburg is easily accessible from Richmond, VA, and offers tons of family-friendly activities. Visit “The Historic Triangle” of Jamestown, Williamsburg and Yorktown (which includes Historic Jamestowne, Jamestown Settlement and Yorktown Victory Center). World renowned theme park, Busch Gardens, and Water Country USA are both less than 15 minutes away and Virginia Beach is only a quick hour drive! 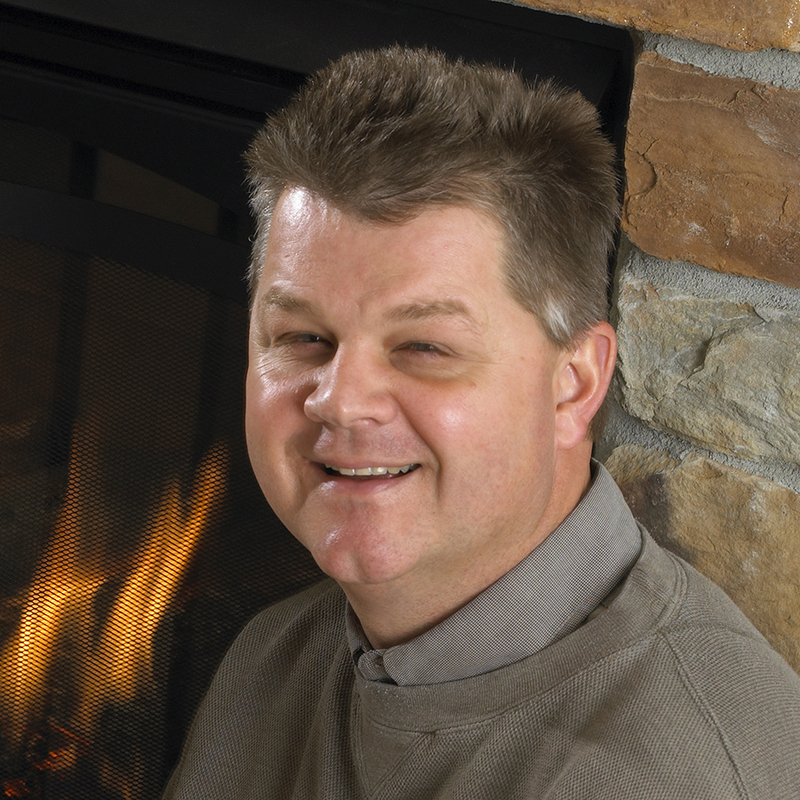 During its meeting on April 22 in Minneapolis, the PFI Board of Directors appointed John Shimek, Senior Vice President of Sales (North America) for Hearth and Home Technologies, to the PFI Board of Directors. John brings to the Board a wealth of knowledge about biomass energy and extensive expertise in sales and marketing. John fills the seat held by Bob Sourek who stepped down from the Board in March after 17 years of dedicated leadership and service within the organization. Join us on Tuesday, May 19 at 4pm ET/1pm PT for a webinar on the PFI Standards Program! Please register on PFI’s website to get the log in information for the webinar. We will also be sending a reminder email to all registered participants on May 18, the day before the webinar takes place. We will hear from several speakers on the program’s latest developments, especially following the EPA’s release of the final New Source Performance Standards Rule. This webinar is open to all. However, it's a must for pellet retailers who want to know more about the PFI Standards Program and its participants. The session will help retailers understand the PFI Quality Mark, and educate them on where to purchase pellets from producers meeting the requirements of the PFI Standards Program and displaying the PFI Quality Mark on their bags. Finally, it will help retailers answer questions from customers about the program as they make their purchasing decisions. PFI’s Standards Program offers many benefits – to pellet producers, retailers, stove manufacturers and consumers. To read about one pellet producer’s experience with the PFI Standards Program, please visit PFI’s website. Please contact Carrie Annand at [email protected] for more information. This June, PFI will hold a fly-in in Washington, DC, and we invite you to join us for a day of meetings with Members of Congress and Administration officials. No prior experience in lobbying is required and PFI will provide the tools and training to prepare you for the meetings. PFI will schedule all meetings on your behalf. PFI has a dedicated group of members who attend the fly-ins each year, and we are eager to add other members to our lobbying efforts. The fly-in provides an excellent opportunity for you to meet with congressional leaders from your districts to showcase your businesses and address concerns impacting your business operations. Our focus will be targeted asks on tax legislation, including the Biomass Thermal Utilization (BTU) Act. We will also address the New Source Performance Standard Rule and any outstanding concerns related to the rule’s implementation. Please contact PFI staff with questions or to confirm your participation. Exact dates will be announced in the next several weeks. Not a member of PFI? Contact PFI staff about how to join the association and participate in the June fly-in. EAST LANSING, Mich., April 23, 2015 -- In a speech today at Michigan State University, Agriculture Secretary Tom Vilsack laid out a comprehensive approach to partner with agricultural producers to address the threat of climate change. Building on the creation of USDA's Climate Hubs last year, the new initiatives will utilize voluntary, incentive-based conservation, forestry, and energy programs to reduce greenhouse gas emissions, increase carbon sequestration and expand renewable energy production in the agricultural and forestry sectors. Through these efforts, USDA expects to reduce net emissions and enhance carbon sequestration by over 120 million metric tons of CO2 equivalent (MMTCO2e) per year – about 2 percent of economy-wide net greenhouse emissions – by 2025. That's the equivalent of taking 25 million cars off the road, or the emissions produced by powering nearly 11 million homes last year. To read the accompanying fact sheet click here. The Mohegan Tribe of Connecticut wants to turn one of Tennessee's biggest renewable energy failures into a business success with another type of renewable product in growing demand around the globe. Rep. Annie Kuster, D-N.H., recently announced two grants from the USDA’s Rural Development program that will support projects in two New Hampshire communities. The Bethlehem School District has received a $30,000 grant that will be used to replace an oil-fired hot water boiler heating system at Bethlehem Elementary School with wood pellet boilers, and the town of Stratford has received a $15,000 grant to improve its town garage, which houses all town vehicles. In 2014, almost three-quarters of all U.S. wood pellet exports were delivered to the United Kingdom (UK), mainly for the purpose of generating electricity. Overall, U.S. wood pellet exports increased by nearly 40% between 2013 and 2014, from 3.2 million short tons to 4.4 million short tons, as the United States continues to be the largest wood pellet exporter in the world. Partnership units of Enviva Partners LP (NYSE: EVA) began trading Wednesday morning after pricing at $20 per unit Tuesday, the middle of the expected range of $19 to $21. Enviva raised gross proceeds of $200 million in the initial public offering (IPO) and the underwriters have a 30-day option on another 1.5 million common units.